COMMENTS ON INDIAN COMPANY LAW: ALL ABOUT NBFC, WHAT IS A NBFC? In this column , I will discuss important company law case laws and intricacies surrounding the interpretation of Indian Company Law. ALL ABOUT NBFC, WHAT IS A NBFC? 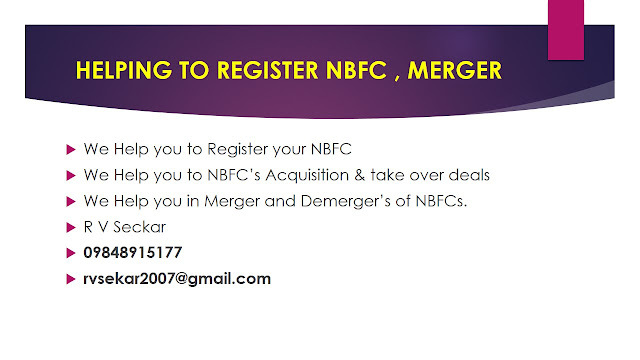 Non-Banking Financial Company (NBFC) is a company registered under the Companies Act, and it deals in the business of loans and advances, acquisition of shares, bonds/stock/ /securities debentures issued by Government or local authority or other securities of marketable nature, hire-purchase, leasing, chit business insurance business. 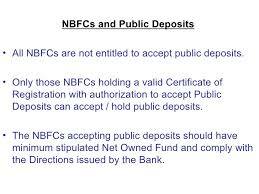 WHAT IS NOT A NBFC? But it does not include any institution whose principal business is agriculture activity, industrial activity, construction sale/purchase/ of immovable property. RBI’s recent Financial Stability Report says- NBFCs have continued to perform better than the banks. Net profit as a percentage of total income remained at 15.3% between March 2015 and March 2016. The flow of non-bank resources to the corporate sector, which includes NBFCs’ bond market borrowing and lending, has increased by 43% from April 2017 to December 2017. 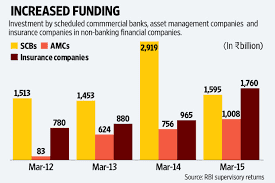 NBFC sector is growing at the cost of banks that are saddled by bad loans and poor profitability. NBFCs were the largest net borrowers of funds from the financial system. There is a growing realisation of the significance of NBFCs in the industry, and in promoting India's economic growth. There are huge growth opportunities for NBFCs because of the great advantages it offers; though there are some issues regarding the NBFCs. 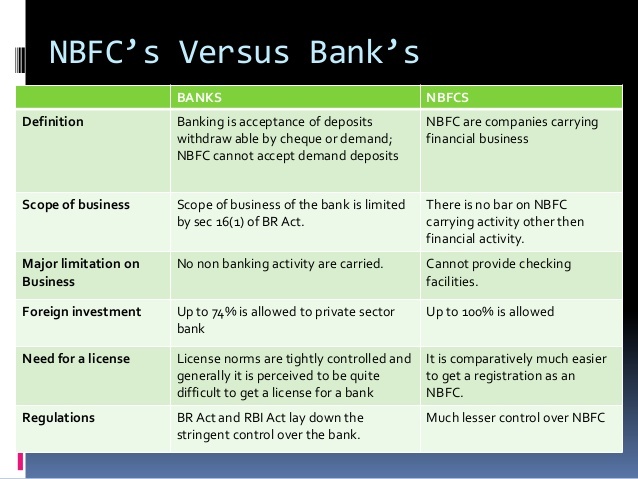 Agility is very important for NBFCs as it sets the banks apart. Banks function slower as compared to the NBFCs. The use of modern methods by NBFCs has overcome key challenges that had overwhelmed conventional lending. NBFCS have made great use of technological advancements like the use of mobile phones and the internet which has helped in making information easily accessible anytime anywhere. It has reduced the demand and reliance on bank branches. Technology is not only at the head of banking and financial services, but also an increasingly digitized India has underpinned the rise of NBFCs. Digitalization has given NBFCs the ability to present multiple choices and reach the larger audience at quicker pace. This indirectly gives rise to larger NBFCs. Combination of partnership and database helps in increasing penetration of financial inclusion. To reach large numbers of customers successfully, and minimize risks, NBFCs have forged partnerships including the government to use their database and identify customer worthiness. Thus lending has been productive. 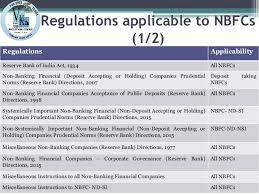 The regulatory mechanism for NBFCs is stringent.